Everyone who gets into anime has the thought at some point in time: maybe I should learn Japanese? For someone who loves the medium there are plenty of good reasons to learn Japanese. For one thing, it means that you will no longer be dependent on translations in order to understand the shows you want to watch. No more subtitles and no more waiting for shows to be licensed in the West or for fansubbers to get to the program you have been waiting for. You also won’t have to choose between awful dubs and subtitles that distract you from the visual scene. Anime and manga also take on a different quality when you can understand them directly, as intended. For my part, I still have a long way to go when it comes to reaching a fluent conversational level of Japanese and I’m still a long way from being able to read it with any level of usable competence, but already it has made a major change in how I consume the anime medium. That being said, I will go over some of the difficulties and setbacks I have experienced so that you might avoid them. 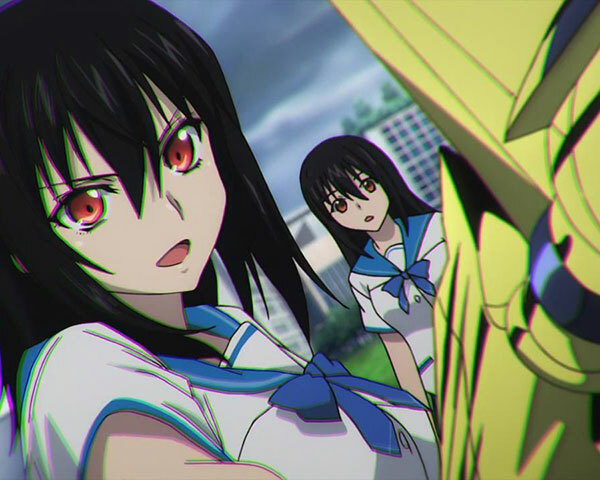 Apart from being a game-changer for anime viewing, Japanese is a highly-marketable skill. Adding it to your resume can open up all sorts of doors. If you are really serious about taking this step then read on for the details that will get you started. This is obviously the question that comes up most often and the answer to it is: rather complicated. For one thing, it depends on where you are coming from. If you are a native English speaker then learning a language such as French or German is relatively easy. I say “relatively” because I don’t want to create the impression that it’s easy to learn either of those languages. Still, many European languages share a common ancestry. Their grammars are very similar and you can often figure out the vocabulary because the English equivalent shares a root with it. In this sense, Japanese is a linguistic enigma. The truth is that modern linguist don’t know all that much about the history and origin of Japanese. Attempts have been made to connect it to other languages from the region, such as Chinese or Korean, but as it stands Japanese is essentially an isolated language that makes up the Japonic language family. The other members of the Japonic family are those spoken in the Ryukyuan islands. Some of these languages are thought of as dialects of Japanese, but the truth is that they aren’t really mutually intelligible in the way that, for example, Dutch and Afrikaans are. In anime you’ll often hear references to Okinawan, which is the best-known Ryukyu language. In Okinawa signs have to be put up in both Japanese and Okinawan. The point of this little history and geography lesson is that no other languages seem to be related to the Japonic family, so nothing you know about your current languages are going to help. Objectively, Japanese is actually pretty simple. It has a limited number of valid phonetic sounds, for example. This is why Japanese people who speak English sound the way they do, because they are awkwardly trying to shoehorn the only sounds they know onto a language that needs more of them. Japanese has no distinction between “l” and “r”, which is why a Japanese person might say “solly” instead or “sorry”. There is only one syllable in Japanese that ends on a consonant (n), which is another reason for the characteristic Japanese English accent. The problem with understanding Japanese doesn’t come so much from learning the grammar and vocabulary. In my experience the big problem is how contextual the language is. You’ll notice that sometimes a character will utter a short phrase that results in a long translation. That’s because Japanese is a highly contextual language, which requires knowledge of social norms and cultural history. The bottom line is that it’s pretty difficult, but hardly impossible. 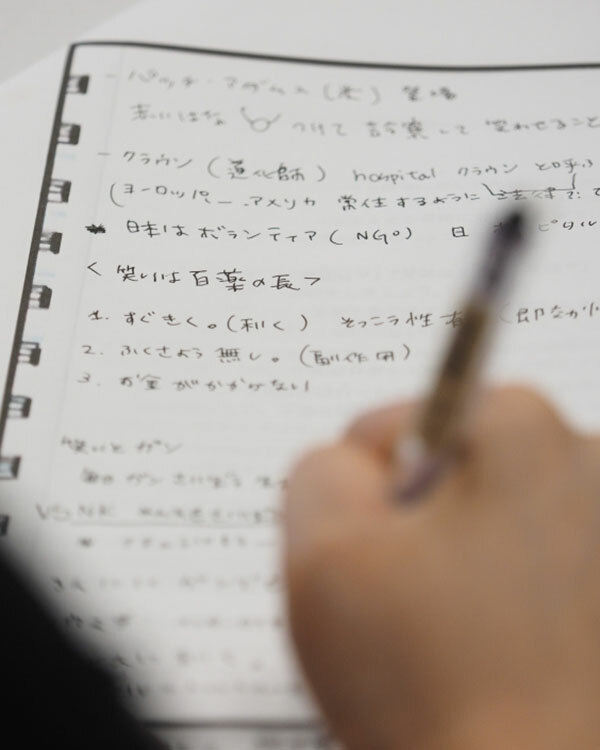 This is the other common question people have about learning Japanese. 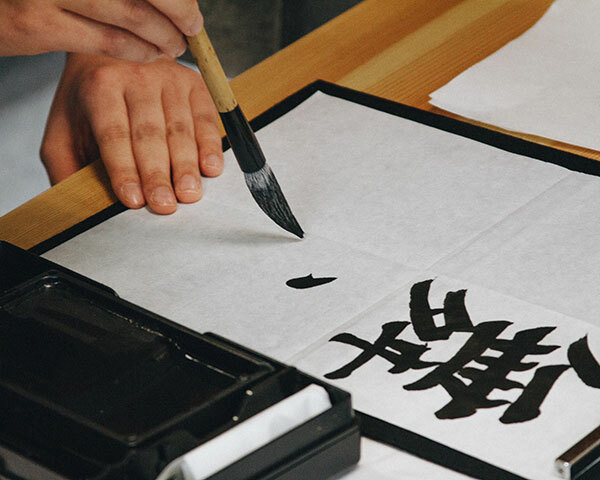 I have written another article about the Japanese writing system that goes into detail on how it works. So I’m not going to repeat myself here. What you need to know in terms of learning the language is that you can become a conversational Japanese speaker without needing to learn any of the writing. However, I recommend that you start to learn some of it as soon as possible so that you can associate the writing with what you are learning. In order to be fluent in a Japanese environment you need to master just over 2000 non-phonetic symbols known as Kanji. You also need to master 94 phonetic symbols split over two distinct character sets. Even Japanese schoolchildren have a hard time doing this and it represents a significant act of memorization and practice. If all you want to do is understand spoken Japanese well enough to enjoy a TV show, then you don’t have to master this aspect of the language. However, in order to build vocabulary, read light novels, and read manga, it’s better to start as soon as possible. Where Can I learn Japanese? Thanks to the internet and modern digital technology it’s easier than ever to learn Japanese. In fact, I recommend you don’t use just one of these sources, but mix two or more for maximum impact. Some of these are going to cost money and some aren’t, but all of them require a dedicated amount of time. I’m super-guilty of letting my Japanese study time slide because of work or pure laziness, but setting aside at least 30 minutes a day will see you make good progress away from backsliding too much. So, let’s see where you can get the good stuff. This is the traditional first stop when it comes to learning a new language. Ever since people had access to affordable home audio equipment, companies have been selling self-study audio courses. You can usually buy a book with a bunch of CDs in it or a voucher for the digital audio files. You can also buy an ebook from somewhere like the Kindle store, which is much the same thing. To be honest, I think this is a rather outdated approach to the whole project. People who are very good at self-study can have quite a bit of success with this method, but most people are simply going to give up, mainly because they can’t really tell whether they are doing well or not. So unless you are going to be stuck in Alaska with only an MP3 player and no internet access, this is probably not the way to go. The real revolution with home language learning came with the introduction of language-learning software. Now you aren’t just a passive learner. You can be assessed on a continuous basis with useful feedback. The best software can generate infinite practice for you and might even simulate real interactive conversations. One well-respected package is provided by Rosetta Stone, which you can find here on Amazon. While I actually like their approach to language learning, I think their pricing model is a little outdated. Plonking down $300 for a beginner’s Japanese course is a little too rich for most people’s blood, so unless that sort of price tag doesn’t make you flinch, you should look elsewhere first. This is the hottest area of development in language learning, if you ask me. There are now plenty of smartphone apps that can teach you to speak and read Japanese. Obviously plenty of them are just junk, but the good ones are well worth looking into. One thing I like about the app ecosystem is the diverse ways developers have found to make money from them. You can choose to put up with advertisement instead of paying anything at all, or pay a monthly fee to have them removed. Some use a strict subscription model, but the cost is stretched out over time and you can stop whenever. There are also applications that have a once-off fee, yet tend to both be quite affordable and get broken up into standalone modules so you only pay for what you actually end up using. To me the absolute king of language learning apps has to be DuoLingo. The app is completely free if you’re happy to skip through some adverts between lessons. You can also opt to pay a small monthly fee for an ad-free experience. Duolingo is a brilliant, community-driven, fully-gamified language learning app. They promise to take you to about 60% native fluency and from there on you have to keep improving by reading literature, conversing with other speakers, and, of course, watching TV shows. I don’t want to take up this whole article simply talking about Duolingo, so let me say that you should simply give it a try. My progress has been rather amazing using their system. If you only have five minutes here and there to learn, you can do it with this smartphone and tablet application. Also, Duolingo throws you right in with learning Japanese writing, but does it in a natural and approachable way. Just go download it already! 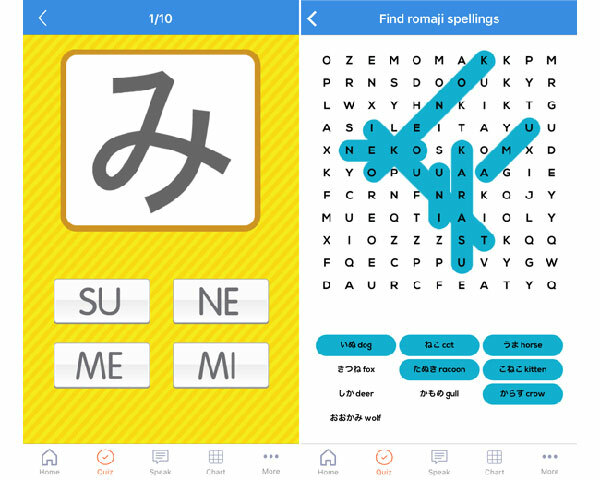 There are also plenty of Japanese Kanji and Kana flashcard apps which you can use to stay sharp or learn all the kanji you need to read day-to-day Japanese. One other app I’d like to highlight is called Human Japanese. It’s a perfect companion to something like Duolingo because it also takes the time to explain the culture of Japan to help you understand things more fully. This is an essential component of learning Japanese. Human Japanese will also teach you how to write Japanese by hand. It has exercises with grading and is overall just an excellent resource. It’s not very expensive either and you can buy the beginner and intermediate packages separately. Apps are the backbone of modern language learning and you’ll be amazed at the progress you can make if you take the right one. I also like the social aspect of it. Often you can compete with friends who are learning the same language; this helps to keep you motivated. Often local colleges or universities will offer language courses after hours. You don’t need to enroll for a degree or a diploma, just in night classes for a certification. Often, if Japanese is offered you’ll be tutored towards the goal of passing the Japanese Language Proficiency Test. While this is generally a more expensive option, it has quite a few advantages. For one, you can meet people who also want to learn Japanese just like you. 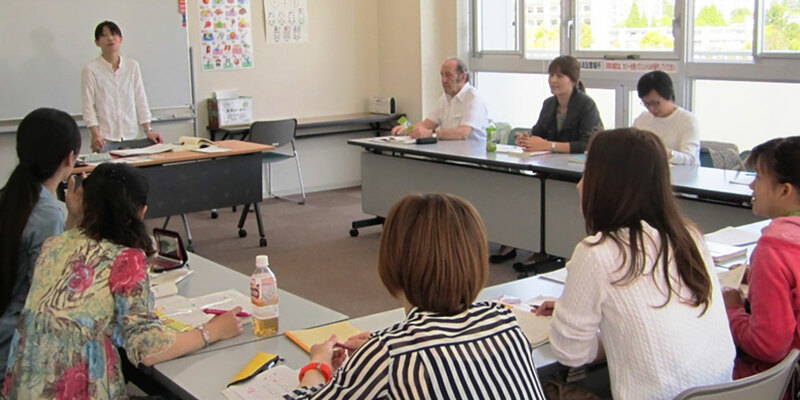 The class is taught by someone who is fluent in Japanese at or near the native level. At the least, you should only enroll for classes by someone who can speak at the native level. It’s also good for people who struggle with self-study. Apps have come a long way in helping you along, but there’s still no substitute for in-person support for certain people. Just as there are plenty of people who want to learn Japanese, there are also plenty of Japanese people who want to learn English, German, French, and any of the other popular world languages. There are sites where people who have mutual language pairs to learn can hook up and then converse with each other over Skype or other similar channels. Sometimes there can be a fee to join, but all members are just regular people looking for some people to chat with for language learning. It’s like the old concept of a pen pal, but more immediate and far more useful for learning purposes. Online language tutoring is becoming more and more popular these days. Basically, people who are native speakers and vetted by the tutoring site are listed for you to choose from. You pay an hourly fee and they’ll converse with you and help you figure out the parts of the language you are struggling with. The difference between paid online tutors and using language exchange sites is that the tutor is already fluent in both your language and Japanese. So you aren’t necessarily teaching anything; that’s why you’re paying, in the end. Lots of people think that you can learn Japanese from watching anime. That’s technically true, but you have to approach it the right way. If you are watching an anime with subtitles you aren’t learning much of anything. You are not absorbing the Japanese dialogue; instead you are following the story in English. One trick I like to use is rewatching anime with the subs turned off. It helps because I already know more or less what’s happening in the story and that allows me to tie the spoken dialogue to existing knowledge. This method gets more useful the more Japanese you master. If you have a conversational level of Japanese and a good handle on the grammar you’ll start understanding most of a given sentence rather than a word or two here and there. Whenever I hit a new word I don’t understand I pause the show and look it up, then listen to that line again. Hey, it’s more fun than watching news programs and other boring stuff. Let’s not kids ourselves, learning a language as challenging as Japanese is not child’s play. If you’re serious about it you’ll have to put in the time. So it’s important that you have really solid reasons for wanting to do it. Motivation is always an issue, especially as you start moving into more advanced proficiency. The good news is that you can get access to the knowledge you need quickly for little or no money most of the time. So there’s no reason not to try. You might just have a knack for it.